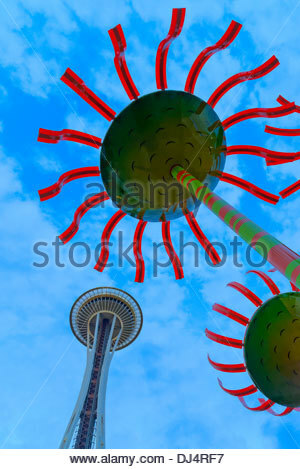 WA141445-00...WASHINGTON - Display called Sonic Bloom with the Space Needle located in the Seattle Center. 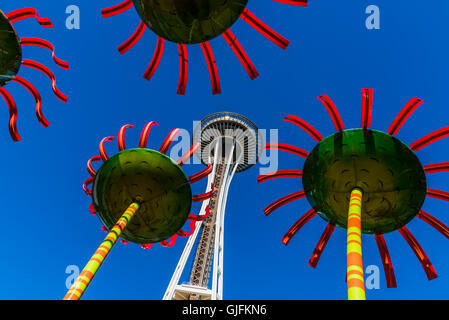 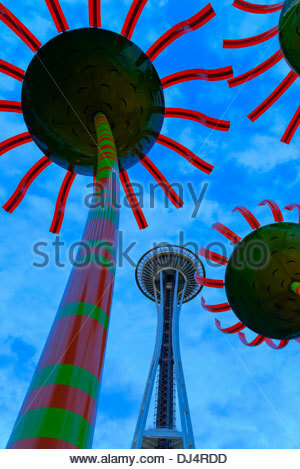 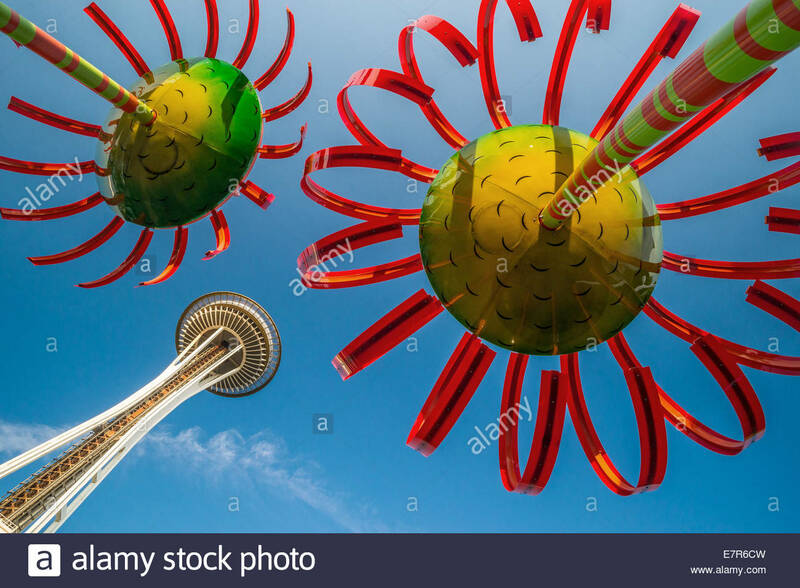 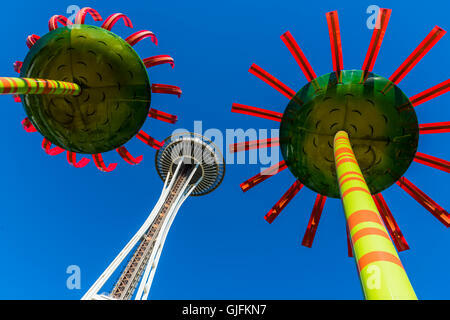 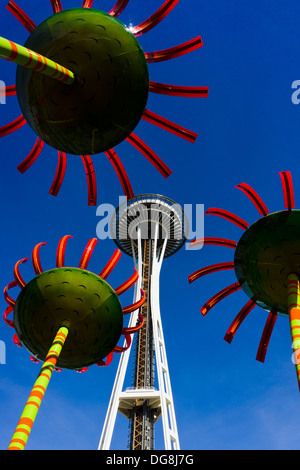 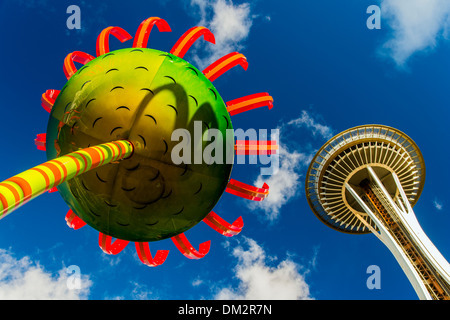 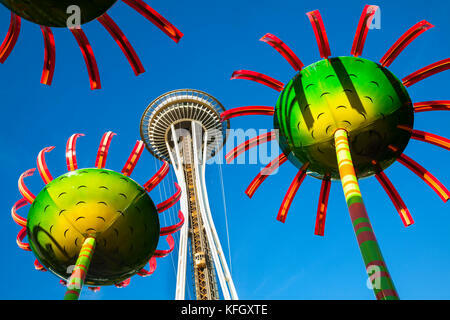 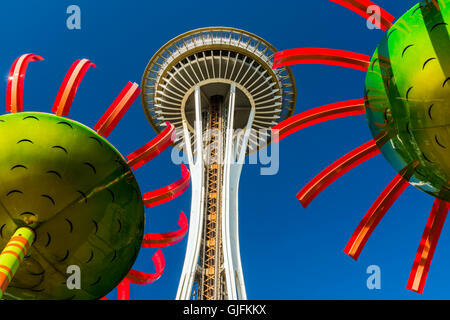 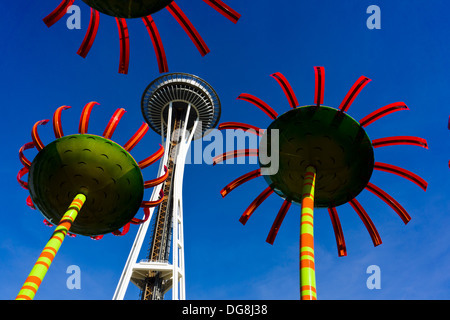 'Sonic Bloom' sculptures by Dan Corson, and Space Needle. 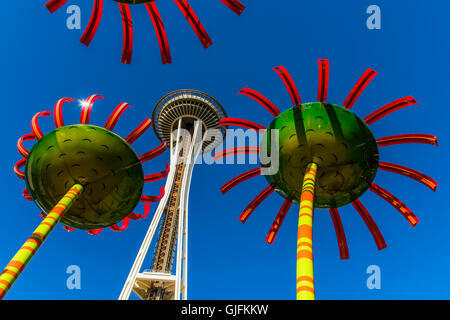 Seattle, Washington, USA.